The best fishing invention of the 2012! You ever caught a fish and wished it would've been bigger, I know I have? Now with Bass Botox you can make that bass as big as you want. 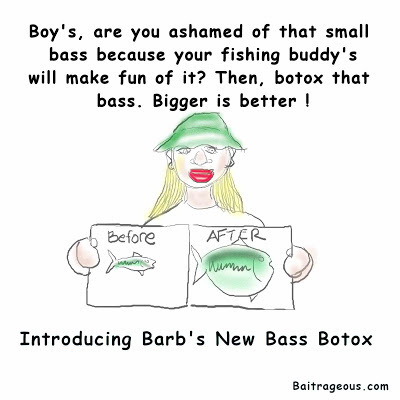 Just try Barb's Bass Botox. Look's like Bass Botox will be a hit this year. 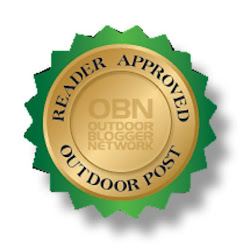 Wives this will be a great Christmas gift for that husband that fishes. Also look around this site, there's more incredible stuff to see. King of like tossing a bunch of buckshot down their throat to make them heavier.